Crimson Clan are a production company devoted to creating theatre, comedy and film. Crimson Clan seek to inspire discussion surrounding issues like identity, gender, relationships and power, by using various comedic and theatrical styles to present them. 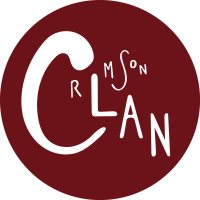 Formed by Edinburgh natives, Crimson Clan is based in central Scotland. After a successful, well-received run of our theatre production, Mine Ain Fowk, Crimson Clan have now produced a short film. #TheBeckyToddShow is a series of comedy sketches inspired by modern romance and reality television. Click here to watch.